crazy cats! lol. . Wallpaper and background images in the Gatti club tagged: cats funny. 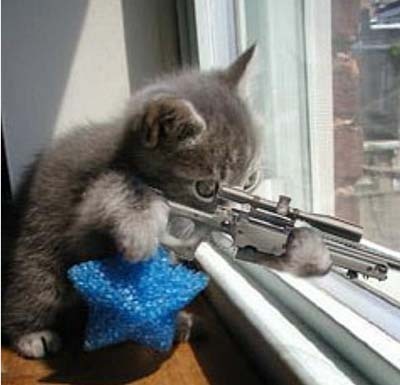 SniperCat is inn the building, evacuate, i repeat, SniperCat is in the building, we need all life forms in building 504 to EVACUATE!!!! That is funny!! I think that's photo-shopped! !